I started this week off by heading down to Fort Madison, IA to talk with their MS and HS teachers about effective technology use in the classroom and to conduct some Google Apps workshops as part of their professional development day. 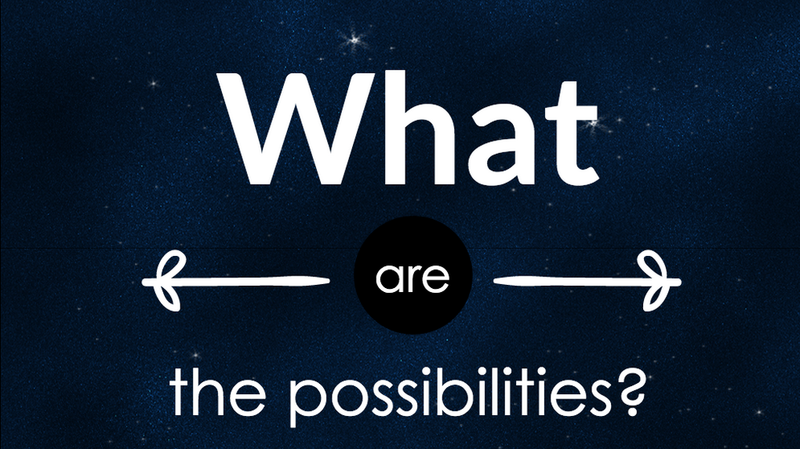 The main focus of my talk started with a simple slide that asked “What are the possibilities?”. The whole point of my talk was to bring out the ideas of how we can improve our learning environments by using technology in an effective way and to be open to trying out new ways. Many teachers are hesitant to try new things in the classrooms and this causes their classrooms to look the same as they did 100 years ago. Even as we introduce new technology into the mix, we need to be constantly reevaluating our pedagogy along the way. 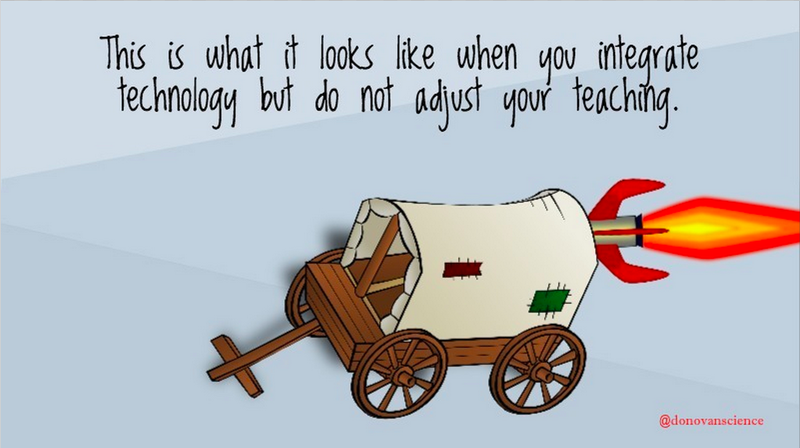 This went back to my idea that the rocket attached to a wagon is a good example of what happens in many classrooms when we introduce new technology without reflecting on our teaching. I proceeded to go over and share what I have done in my own classrooms as well as examples from teachers that I work with. I made sure that although my focus was on the big idea, I needed to give them ideas that they could try out because that seems to me to be very effective when you are actually giving some specific ideas. I shared some of the main tools I have used but I always brought it back to our big idea with a focus on student learning. Overall I thought it went really well, even though this was really my first time giving a talk like this to teachers from another school and not just at a conference. 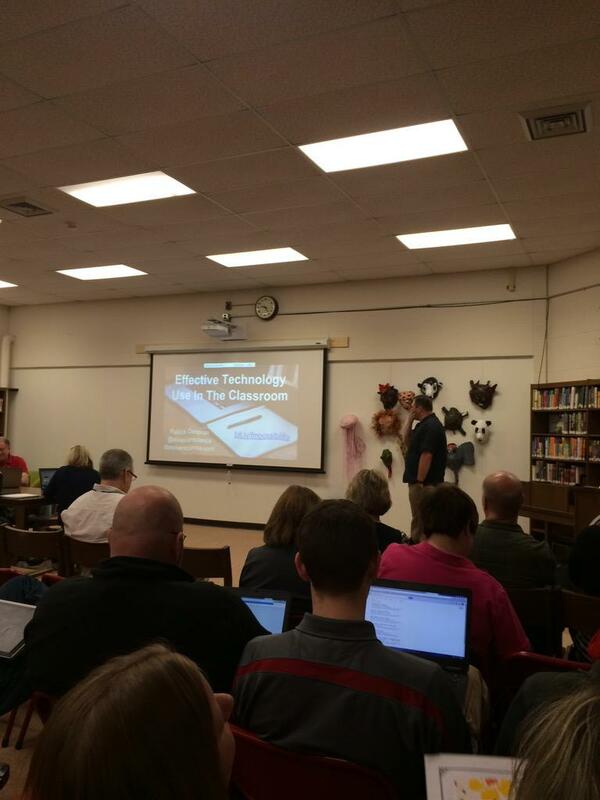 The school asked me to come and were impressed with my presentation at the ITEC Fall Conference last year. I was nervous as I wanted to make sure I helped their teachers as they continue their learning and I wanted to give them an extra push to keep them going forward. As with many new experiences, this was a chance for myself to learn and I brought our Swivl with so I could easily record my talk. I have uploaded it and added my slides so that I, and others, can view it over to use as a reflection tool. I am very grateful to Fort Madison for bringing me in and my goal is to always improve at what I do as I am hoping I get to do this again for another district as I keep moving forward myself. You can watch the video below of my talk, I even added the slides so you can see what I was sharing with the teachers. Forgive me for the jumpy video as I did not place the Swivl in the best location and it lost the line of sight often as I walked around.